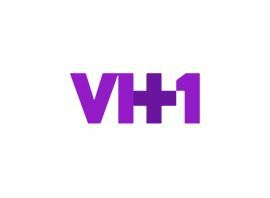 VH1 (stylized as Vl+1, sometimes as VH-1 and originally an initialism of Video Hits One) is an American cable television network based in New York City that is owned by Viacom Music and Entertainment Group, a unit of the Viacom Media Networks division of Viacom. It launched on January 1, 1985, in the old space of Turner Broadcasting System´s short-lived Cable Music Channel. The original purpose of the channel was to build on the success of MTV by playing music videos, but targeting a slightly older demographic than its sister channel, focusing on the lighter, softer side of popular music. The channel was originally created by Warner-Amex Satellite Entertainment, at the time a division of Warner Communications and owner of MTV. Both VH1 and its sister channel MTV are a part of Viacom Media Networks. While VH1 occasionally plays music videos and the Top 20 Video Countdown, its recent claim to fame has been in the area of music-related reality programming, such as Behind the Music, the I Love? series, the Celebreality block of programming, and the channel´s overall focus on popular culture. Starting in 2011, VH1 has broadcast Big Morning Buzz Live, a daily morning news and pop culture talk show hosted by Carrie Keagan, Jason Dundas and VH1 music expert Jim Shearer. The show features entertainment news, celebrity interviews and musical performances. On June 3, 2013 VH1 premiered The Gossip Table, another live daily entertainment news program featuring five entertainment columnists presenting entertainment news and gossip. As with other MTV channels, MTV Networks broadcasts international versions of VH1.